ARE YOU LOOKING FOR AN OPPORTUNITY TO SERVE THE CHURCH ON SUNDAYS OR DURING THE WEEK? BELOW ARE SEVERAL AREAS WHERE YOU CAN VOLUNTEER. FIND THE AREA YOU'RE INTERESTED IN AND FILL OUT THE FORM CONNECTED TO THAT AREA. 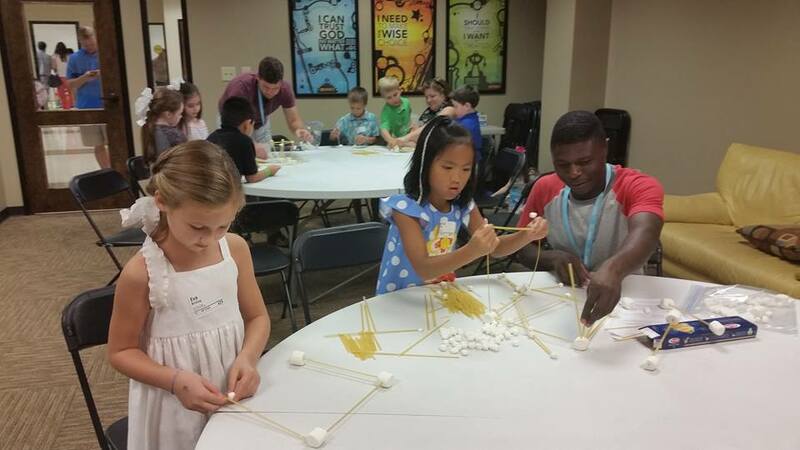 OUR CHILDREN'S MINISTRY IS A GREAT PLACE TO SERVE ON SUNDAYS AND DURING THE WEEK. WE'RE ALWAYS LOOKING FOR LOVING, CARING PEOPLE TO SERVE OUR PARENTS AND CHILDREN IN A WARM, INVITING ENVIRONMENT. IF YOU'RE INTERESTED IN SERVING IN ONE OF SOME OF THESE AREAS, PLEASE FILL OUT THE FORM BELOW. THE MARS HILL HOSPITALITY TEAM ARE USUALLY THE FIRST PEOPLE OUR GUEST ENCOUNTER WHEN THEY ARRIVE AT MARS HILL ON SUNDAYS. THIS TEAM BECOMES THE FIRST IMPRESSION. WE'RE LOOKING FOR FRIENDLY, KIND, WELCOMING PEOPLE WHO CAN SHARE THE LOVE OF CHRIST AS PEOPLE ARRIVE TO WORSHIP, ANSWER QUESTIONS ABOUT THE FACILITY OR THE CHURCH, AND MAKE A GREAT CUP OF COFFEE. THIS TEAM USUALLY ARRIVES 30-45 MINUTES BEFORE SERVICES BEGIN TO BREW FRESH COFFEE AND WELCOME THE FIRST PEOPLE TO ARRIVE. IF YOU'RE INTERESTED IN SERVING IN THIS AREA, PLEASE CLICK THE LINK BELOW. OUR SECURITY TEAM IS A GROUP OF FRIENDLY INDIVIDUALS WHO WORK HARD TO SPOT ANYTHING UNUSUAL OR UNSAFE DURING OUR WORSHIP GATHERINGS. THIS TEAM MONITORS THE BUILDING, THE WORSHIP CENTER, KIDS AREA, ETC. TO ENSURE THE SAFETY OF ALL THAT ATTEND OUR SERVICES. A BACKGROUND CHECK IS REQUIRED FOR THE TEAM. IF YOU'RE INTERESTED IN VOLUNTEERING IN THIS AREA, PLEASE CLICK THE LINK BELOW. THE MARS HILL STUDENT MINISTRY MEETS EACH WEDNESDAY NIGHTS ON CAMPUS FOR DINNER, BIBLE STUDY, WORSHIP, AND A LOT OF FUN. THEY ALSO DO VARIOUS TRIPS AND EVENTS THROUGHOUT THE YEAR. WE ARE LOOKING FOR ADULTS WHO WILL POUR INTO OUR YOUNG PEOPLE, TEACH AND MODEL THE GOSPEL, AND HELP THEM GROW IN THEIR WALK WITH JESUS. A BACKGROUND CHECK IS REQUIRED FOR THIS TEAM. IF YOU'RE INTERESTED IN SERVING IN THIS AREA, PLEASE CLICK THE LINK BELOW. DO YOU HAVE A GIFT IN MUSIC OR SOUND TECH? WE LOVE OPENING UP OPPORTUNITIES FOR CHRIST FOLLOWERS TO EXPRESS THEMSELVES USING THE GIFTS AND TALENTS THE LORD HAS GIVEN THEM. IF YOU'RE INTERESTED IN SERVING ON OUR WORSHIP TEAM OR OUR SOUND AND MEDIA TEAM, START BY CLICKING THE LINK BELOW. WE'LL FOLLOW UP WITH YOU TO SET A DATE AND TIME FOR YOU TO AUDITION WITH OUR WORSHIP LEADERS.